Here at the Manifesto of Perfection I write about self-improvement, my goals and reflect on what I have learnt. I do struggled to meet many of my goals, that is until I learnt better time management, where I realised the importance of sitting down and working out ways of being more time effective. I wanted to work in the environmental sector – things were not working out in the employment market so I decided to spend my time volunteering for an environmental charity. It was horrible, I was frustrated right from the start due to the unorganised nature of the organisation. The volunteers were not given a clear role, every decisions had to be discussed at a meeting, I was spending a lot of time commuting and it was consuming a day of my week. I took control of the charity’s blog which was not discussed I just wanted to have a purpose for volunteering. I got pretty miserable continuing, but stupidly through a sense of duty, continued. 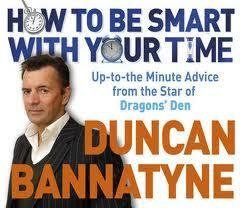 I read the book – “How to be smart with your time”, by Duncan Bannatyne. This recommended saving time by looking at what you were spending your time on in relation to life goals. There wasn’t going to be a high paid job in the organisation as it was mostly voluntary. There were no new skills being learnt. I enjoyed working on the blog but realised I could set up my own blog where I could write about whatever was of interest. The next day, I quit – this resulted in having a free day and evening that I could dedicate to my new goals. I have repeated this method to more obvious stuff like watching TV and playing video games. If I feel the need to do any of these I turn it into a meetup with friends so it meets my social goals. If you have read this blog you will realise the value I place in fitness. I always found training after work was not easy, I needed extra time to travel there and to be honest I would rather eat, then do a bit of writing and drawing. However, when I train before work or in my lunchtime I have the enthusiasm to do this. This a more effective use of my time as I am able to combine two of my activities in a logical manner that saves time. Do you ever do something that’s bad for you, that you then have to compensate by spending more time to fix the bad stuff? I love eating, to keep my weight under control I stick to a healthy diet, though sometimes I get the urge to eat crap. I then have to put in extra time at the gym to make up for the sins. Therefore I try to stop the activities that are negative to my self-improvement, so instead I an spend my time and energy on my constructive projects. I try and have a clear routine that I follow everyweek. If I am disorganised this leads to procrastinating and I mess around with tedious tasks like trying find my phone before going out. By having a clear routine I keep my life organised – I know my morning schedule follows the same routine – this means I am able to set off for work on time so I don’t miss the train. On a Saturday I combine a gym visit with a trip to the library and then the supermarket. This saves time later as I don’t have to rush out to return late books or pick up some bread. One way of managing routine is to keep a diary. I log how I spend my time each day. I am then able to write a brief summary on how this contributes towards my goals. For example if I write down “Went climbing with brother” this works on three areas of my life. If I wrote I was watching reality TV on my own eating Doritoes. Then I note that I have wasted time, broke my nutrition aims and will have to spend more time in the gym to burn off the excess calories. I also note small things such as books I have read, here I can keep notes on what I have learnt from them. It also exposed insight how time is spent with friends. I noticed with one particular friend I achieved nothing – we drank and smoked a lot, didn’t go out and to top it off they were a bit of a downer. I stopped seeing them, as I realised what a loser they were who had nothing to offer my life. I was writing down a plan for a business idea sat in front of the TV. I was constantly distracted and ended up surfing time waster sites like failblog. I had not even written a proper paragraph. I decided to set up a space in my home, which was dedicated to work, and work alone. Doing this I had an environment dedicated to work. This focuses my mind on tasks at hand – hence I use my time more effectivley to write, draw, do business and put together any plans. So these are things I do to manage my time more effectivley. What can you do to make your life flow better?